In many cases, parental guidance and correction will be non-physical. Time out, withdrawal of privileges, a telling-off, grounding – they can often work. However, sometimes a parent may reasonably decide that a smack is required to correct or prevent defiant or unacceptable behaviour. In these cases, section 59 of the Crimes Act (the anti-smacking law) says that parents are committing the serious crime of assault. As a result, the law can prevent parents from parenting effectively. Opinion polls consistently reveal public agreement that parents should be able to use a mild and non-abusive degree of physical correction. In research done in March 2009, respondents were asked whether the new law makes it always illegal for parents to give their children a light smack. 55% said yes, 31% said no, and 14% didn’t know. This proves just how confusing the law is to parents and it is this confusion that is causing huge harm. Parents have been given conflicting messages by the promoters of the law, there is no clear distinction between ‘correction’ which is illegal and ‘prevention’ which could be ok, legal opinions have contradicted each other, and on top of that is police discretion but not CYF discretion to investigate. Parents have a right to know whether they are parenting within the law or not. This law has just created confusion and as a result, good parents are being victimised. 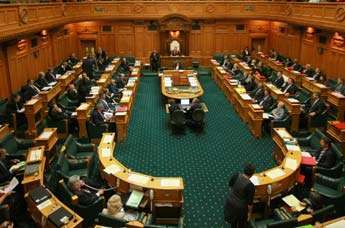 The law is held in contempt by New Zealanders. A recent survey found that two out of three respondents would flout the law and smack their child to correct their behaviour if they thought it was reasonable to do so. Another survey in 2011 found that almost a third of parents of younger children say that their children have threatened to report them if they were smacked. And almost one in four of parents of younger children say that they have less confidence when dealing with unacceptable behaviour from their children since the anti-smacking law was passed. Has the Law Reduced Child Abuse? No. It’s continued to get worse – a lot worse. And this is because the politicians and anti-smacking lobby groups have linked good parents smacking their children with child abuse. * Notifications to CYF have risen 66% (nearly 60,000 higher). 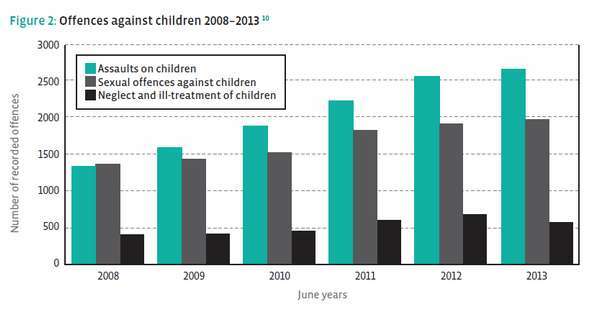 Cases of substantiated child abuse or neglect rose by 41% over the past five years. Supporters of anti-smacking laws try to suggest that these increases have only come about because of campaigns such as the “It’s Not OK” campaign. 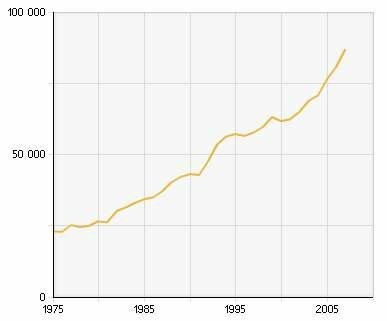 The problem with that argument is that the rates of child abuse were increasing BEFORE those campaigns, and have continued to increase at the same rate. The campaigns and the anti-smacking law have made NO DIFFERENCE. A recent survey of 1,000 NZ’ers found that only 12% of respondents think the law change has had any effect on the rate of child abuse. Didn’t almost all MP ’s vote for the law change? Yes they did, but many MP’s who were vehemently opposed to the law were suddenly, within 24 hours, forced to vote for it! 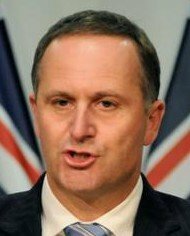 It was supposed to be a ‘conscience vote’ but the two major parties – Labour and National – were ‘whipped’ by their leaders (had to vote along party lines) to vote for the law. The police aren’t prosecuting people for smacking, are they? Yes they are. According to the police reviews, there have been seven prosecutions for a smack on a nappy, smacks on the leg, or smacks on the bottom with no physical injuries at all. Other prosecutions have included open hand smacks just above or below the bottom, and even a smack on the back of a hand. The most recent police reports admit that there has been an upward trend in smacking cases, and ‘more widespread use of the legislation’ by the police. The other huge concern expressed by police themselves is the increase in false allegations of assault. This may come from neighbours or even the children themselves. 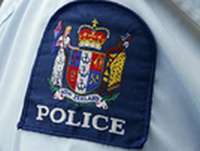 Almost 600 kiwi families have had a police investigation for allegations of smacking or minor acts of physical discipline since the anti-smacking law was passed yet only 9% of them have been serious enough to warrant charges being laid. That’s a lot of wasted police resource. CYF admit that they can ‘find’ abuse where the Police do not. 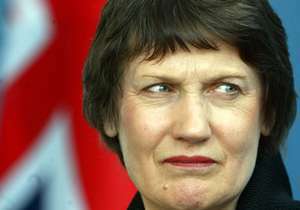 Every NZ family should be concerned by that attitude! But wasn’t there a review of the law by Nigel Latta? Didn’t 87% of the country reject the law in a Referendum? Yes they did. But incredibly, the government ignored the result. 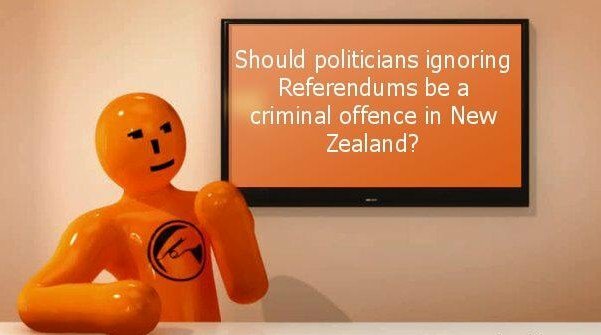 To add insult to injury, a week after the result of the Referendum, a private member’s bill which would have met the demands of New Zealanders was drawn from the ballot. It was virtually identical to the sensible amendment proposed by National MP Chester Borrows during the debate, and which was being supported by virtually all of the National MP’s. Within three hours, the government rejected the private members bill – despite having heavily campaigned for a similar amendment previously! A 2007 Otago University study found that children who were smacked in a reasonable way had similar or slightly better outcomes in terms of aggression, substance abuse, adult convictions and school achievement than those who were not smacked at all. And a study by the Christchurch School of Medicine found there was no difference in outcomes between no smacking and moderate physical punishment. They said, “It is misleading to imply that occasional or mild physical punishment has long term adverse consequences”. A recent study of teenagers by a team from the Albert Einstein College of Medicine in New York found the effects of discipline – such as verbal threats or smacking – are offset by the child’s feeling of being loved and the child believes their punishment is coming from “a good place”. This study joins what the researchers refer to as ‘emerging theoretical and empirical evidence’ which challenges the academic and political view that smacking is child abuse and should be banned. Other studies showed that expressing disappointment and yelling or scolding were associated with as many significantly adverse outcomes as smacking, and time-out and shaming were also significantly associated with internalising problems. Studies cited by opponents of smacking do not adequately distinguish the effects of smacking, as practiced by nonabusive parents, from the impact of severe physical punishment and abuse. It simply assumes that the outcomes of a light smack will be the same as a child who is physically abused. New research based on official Swedish figures has revealed a dramatic rise in cases of criminal assaults on minors in Sweden since smacking was outlawed in 1979 (one of the first countries to ban smacking), including 22 times as many cases of physical child abuse, and 24 times as many assaults by minors against minors. The ability of parents to enforce appropriate discipline continued to erode until, in 2000, only 31% of 10- to 12-year-olds thought that parents had the right to use even ‘grounding’! What’s happening with abuse rates in Australia? 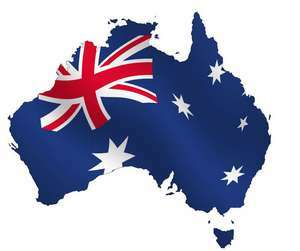 According to government statistics, Australia has had similar increase in notifications BUT with a significant drop since 2008, and a slight increase in the most recent year. Substantiations of abuse actually dropped during this period (all while smacking was allowed)! NZ, on the other hand, immediately following the passing of the anti-smacking law, substantiations of abuse increased 30%!!! 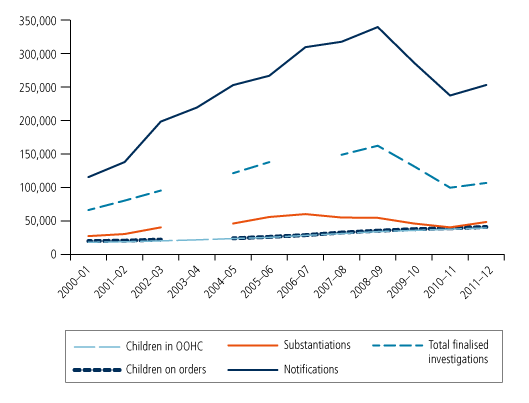 Across Australia, Indigenous children were 8 times more likely to be the subject of substantiation than non-Aboriginal children in 2011-12 (with rates of 41.9 per 1000 children compared with 5.4 per 1000). 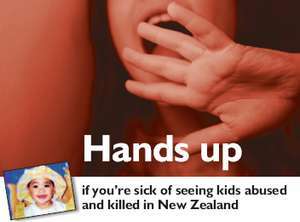 Australia, with over 6-times the population of NZ has just over double the rates of child abuse. The people of New Zealand have been quite clear on this point. We are sick of hearing case after case of innocent children being beaten and killed. UNICEF reports (2003)(2007) and a CYF report (2006) listed factors most commonly associated with the maltreatment of children including: * drug and alcohol abuse * family breakdown * poverty and stress * children not living with biological parents * single parenthood / weak family ties * low maternal age at birth. In the UNICEF report, of the 10 top counties which were deemed safest and promoted the highest level of wellbeing fir children, six hadn’t banned smacking. The safest country in the report hadn’t banned smacking. We can solve the issue of child abuse – but we must be willing to confront the real issues causing the abuse, without criminalising good parents who simply want to raise law-abiding and responsible citizens. 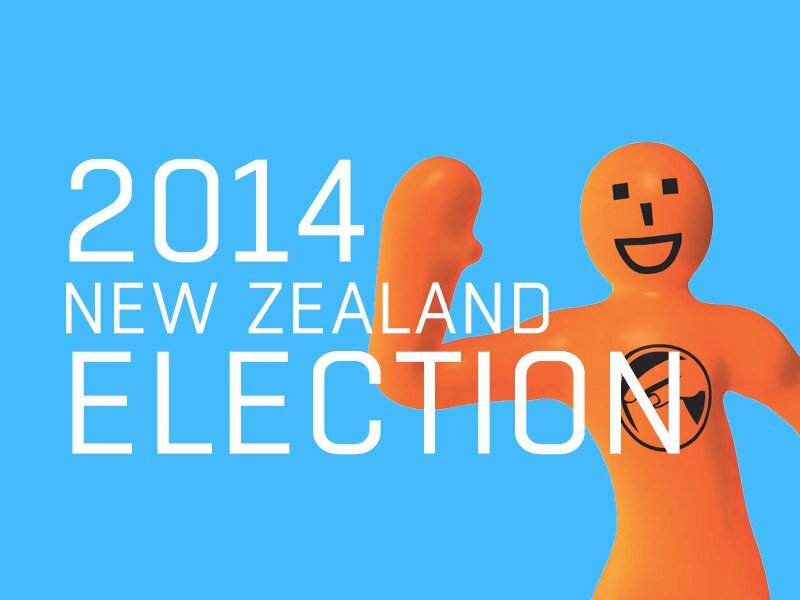 In the end what matters most is that the voice of New Zealanders is heard! Where do the political parties stand? National – Promised to amend the law if they saw evidence of good parents getting criminalised for ‘lightly smacking their children for the purposes of discipline’. But will they look at the evidence? 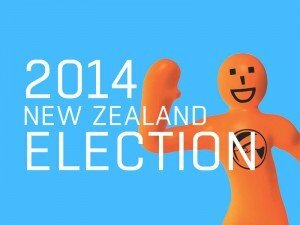 Family First NZ has now produced two documentaries highlighting the real outcome of the law. You can watch these documentaries on the website www.protectgoodparents.org.nz. We believe EVERY PARENT should view this evidence. Copyright © 2019 Protect Good Parents. Powered by WordPress. Theme: Spacious by ThemeGrill.